Connect with our accurate mediums, psychic readers and angels workers to help bring messages of comfort from your loved ones or guidance on your life path. Areas covered: Love/relationships, Career/work, Pets/animals, Destiny/life path, Lost objects Lost people/pets, Past lives, Deceased loved ones. Calls cost £1.50 per minute. Goldey is one of the worlds expert astrologers, she is extremely accurate with specifics and timing, especially in major areas including relationships and profession where you want to know the right time for these events in your life. To get the most accurate reading from any astrologer you should have dates and times of your birth at the ready, but the date is enough if you dont know the time. Goldey is highly respected as a psychic and medium, inheriting her natural empathic abilities through many family generations. She is clairaudient, clairvoyant, and clairsentient, which means she hears, sees, and feels intuitively. Angels have always been a part of Goldeys life, and she enriches her readings with inspiration from these guides. Goldey connects quickly with your voice and inner being. She senses what you need to reach your own strengths and inner wisdom and brings you comfort, clarity, and hope for your future going forward. Book your psychic reading using your credit or debit card. Call 0800 634 8440 and notify the operator of your chosen medium’s PIN number. The World Beyond – Gone With The Wind actor believes in survival after death. 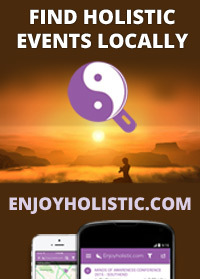 Get notified of Psychic Events near you and Special Offers.